Kathleen is a Native Californian, growing up and living in the Bay Area until the call of the mountains and lakes brought her to Reno. She has an extensive background in construction, having had her CA general contractors license, was a certified CA appraiser and Building Inspector and had a Home Inspection business for 15 years. She even did a 3-year stint as a police dispatcher in San Francisco during the housing crisis while maintaining her Home Inspection business. Having had her own business, Kathleen understands that customer service is the most important aspect of a business, along with dedication and willingness to spend the time needed to get the job done. 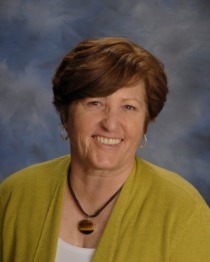 Kathleen is a member of the Reno/Sparks Association of Realtors and the National Association of Realtors. She has had her Real Estate license since moving to Reno in 2014 and has taken the time to get to know the different areas of Northern Nevada. While not at work, Kathleen enjoys boating and kayaking on the lakes and Reservoirs around the Truckee/Tahoe area and golfing at the well-known courses in the area.